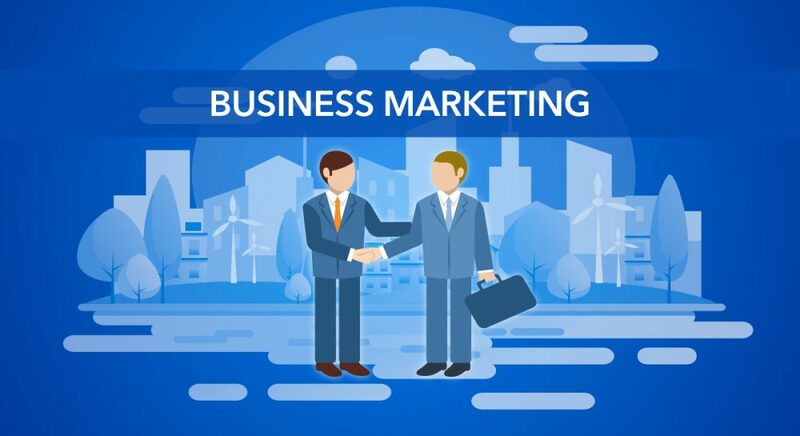 Business marketing, or commonly referred to as ‘Business-to-business marketing’ or ‘industrial marketing’, involves an individual or a company promoting or selling a product or service to another company. The customer here is essentially an organisation, rather than a individual consumer, and the things they purchase may sometimes be consumer products. B2B marketing varies from consumer (B2C) marketing in many ways — number of stakeholders involved, complexity of product/service offerings and the buying process. For instance, the time it takes for a consumer to buy a new laptop could involve a few days — he or she could easily decide to purchase the laptop after reading a positive review of it online. For a business, this process of buying a product can be very different. A business buying new laptops for its employees may want to know more about the technical capabilities and related business offerings of the laptop before deciding to purchase. The stakeholder involved in a typical consumer purchase is one person whereas for a large organisation it could involve multiple business divisions. In broad sense, B2B marketing content tends to be more informational and straightforward than B2C. This is because business purchase decisions, in comparison to consumers, take into consideration bottom-line revenue impact. While return on investment (ROI) is rarely a consideration for a layman, it drives every single decision for a corporate purchaser. A B2B marketing audience expects more detailed, richer information and varied forms of content to help guide them in their buying assessment. In contrast, a B2C audience may expect marketing content to be simpler, more engaging and stimulating rather than informative. There are many differences in the marketing channels for B2B and B2C marketing. However, there are also points of cross-over where B2B is like B2C marketing. For instance, businesses targeting small office/ home office (SOHO) may use similar distribution channels and retailers as those for consumers as SOHO business owners, when purchasing goods in small quantities, may buy from retailers or from consumer channels. Humans feel first and think second. When presented with sensory information, the part of the brain that handles emotion is capable of processing all these information in one-fifth of the time it takes for the cognitive section of the brain. In comparison to business purchases, consumer purchases are often regarded as emotionally driven rather than purely rational. Contrary to conventional marketing wisdom, emotional marketing too can play a part in forming business purchase decisions. For instance, small business owners, while purchasing things for their business, tend to also buy things for themselves. Even in large organisations, an individual decision maker may hold the ultimate responsibility for procurement — he or she may be emotionally influenced to make a purchase decision. Consumer marketing is often targeted at large groups for consumers through mass media and retailers. Similarly, SOHO businesses can also be targeted through marketing to this same group of audience. A business selling to a small business community may need market to thousands or million of businesses if unsegmented. There is a stark different when segmenting for B2C & B2B audience. In B2C marketing, audience segmentation can be done across age groups, lifestyle, e.g. teenagers, parents, elderly, to make marketing and budgets work more effectively. In business context, business are typically categorised based on organisational characteristics such as industrial sector, size of company or their purchasing behaviour. Even within B2B marketing there are clear distinctions between marketing to SOHO, medium and large businesses. Transactional marketing works better for small businesses while relationship marketing works better for medium and large organisations. Business marketing is very different today as compared to 10 or 20 years ago. In the past 100 years business marketing has evolved rapidly. At one time, business marketing was all about pricing, quality and innovation in manufacturing techniques. Subsequently, all these became inconsequential as businesses started competing for consumer attention, expanding into global markets and fighting for internet space. The digital age has brought about many changes for businesses in today’s world. 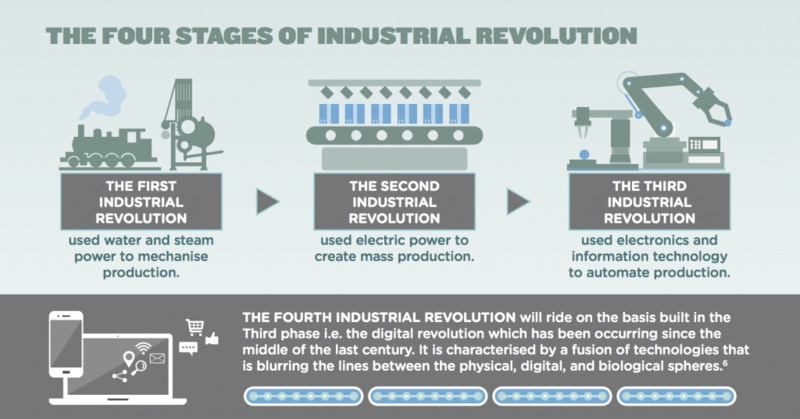 The digital economy is growing at an exponential speed and the potential for growth is tremendous. Right here in ASEAN alone, the digital economy has the potential to grow to US$200 billion by 2025. Family businesses, accounting for a large majority of small-medium enterprises(SMEs) in Asia, are critical agents of economic growth in the past. Today, they are facing intense competition from foreign competitors as the world becomes increasingly globalised. Many SMEs who have yet to harness technology suddenly find themselves in very precarious positions as they now have to fend off against more technologically advanced and disruptive businesses. Decades ago, nobody would have thought that the once indomitable taxi giants would one day be at the mercy of Grab and Uber. Age-old monopolies suddenly find their positions being challenged in a world that is becoming increasingly interconnected and digitally connectable. Network-enabled companies are “eating (business) empires for breakfast” quipped retail prophet Doug Stephens. How will you and your organisation continue to stay relevant in this age of disruption? Can you put yourself out of business before other businesses do? Now more than ever, businesses must change their business-to-business (B2B) marketing strategies or risk being eliminated. As Darwinian as it sounds, to stay relevant, new business marketing models need to be developed and old models must be adapted to fit the changing times. It is hard to navigate and to satisfy the appetites of businesses especially in this age. Businesses increasingly require more ‘customised’ solutions and products tailored to fit their dynamic operational demands. My key takeaway from this is that user experience will always be king. Whoever is better in engaging, adapting their product and communicating with business stakeholders through customised content and communication wins. Welcome to the age of ‘mass customisation’. B2B buyers want more for less. According to the latest B2B buyer research published by DemandGen Report (Demandbase, 2015), B2B marketing is set to become more complex and buyers are becoming more knowledgeable. They expect great service, domain expertise, value, speed, convenience and the list goes on — whoever makes the customer feel like a royalty goes on to win the contract. B2B buyers are also shifting much of their corporate purchasing online and this is why you should start selling online. If you have not started selling online, it is a huge cause for concern! Businesses are moving away from their traditional procurement methods and favour buying online instead. Corporate buyers “prefer the ease and convenience of e-commerce” reaffirms Paul Miller, founder and CEO of Chicago e-commerce consulting firm PMA Digital Solutions and former president, global e-commerce, innovation and big data, at W.W. Grainger Inc. If your business is not yet online, you can consider marketing to corporate buyers on a B2B marketplace like ours! The most important advantage of a marketplace is the access to an already engaged audience at an affordable cost. You don’t have to build the audience on your own. Marketplaces can help you expand your reach to new customers, even globally. They can also be great tools to help you test out your new products in different markets — pick a few products and see how they fare. You can later choose to pull or push the products out, again at minimal costs compared to conventional ways, depending on market receptivity. B2B marketing is set to become more and more complex. B2B marketers will need to adapt and leverage on emerging technologies to their advantage. At the end of the day, all it boils down to is whether you can make the effort to provide your customers what your competitors cannot?